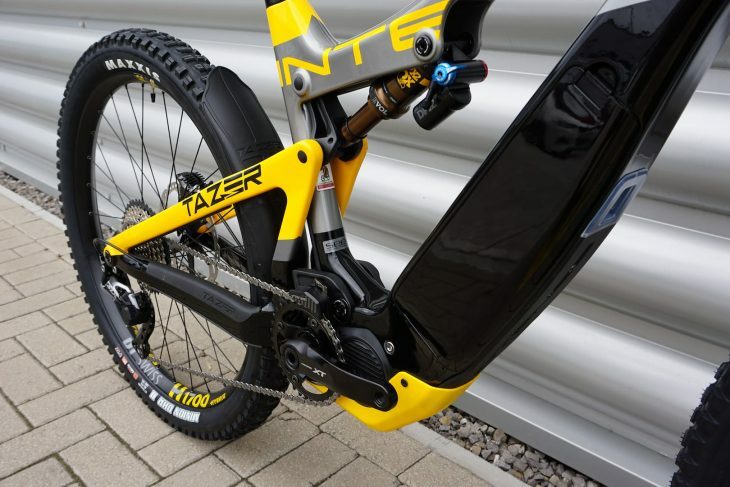 After months of being teased with Instagram posts by Mr. Steber, today Intense has officially released details of its brand spanking new, and first ever, Tazer e-bike. Currently only available in one build spec – Tazer Pro – and sporting 150mm of rear wheel travel and 160mm up front, the new Tazer is billed as an Enduro e-MTB, ready for smashing down (and up) the steepest, roughest tracks you can find. To keep up with those hard-hitting intentions, Intense have really pushed the geometry of the Tazer and have definitely gone down the route of long, low and slack. 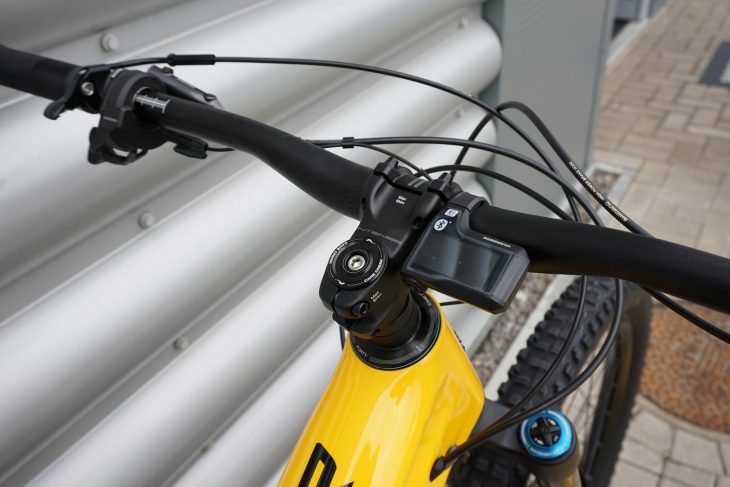 Reach on a large frame is 475mm with all frames having a ‘slack enough’ 64.9° head angle. 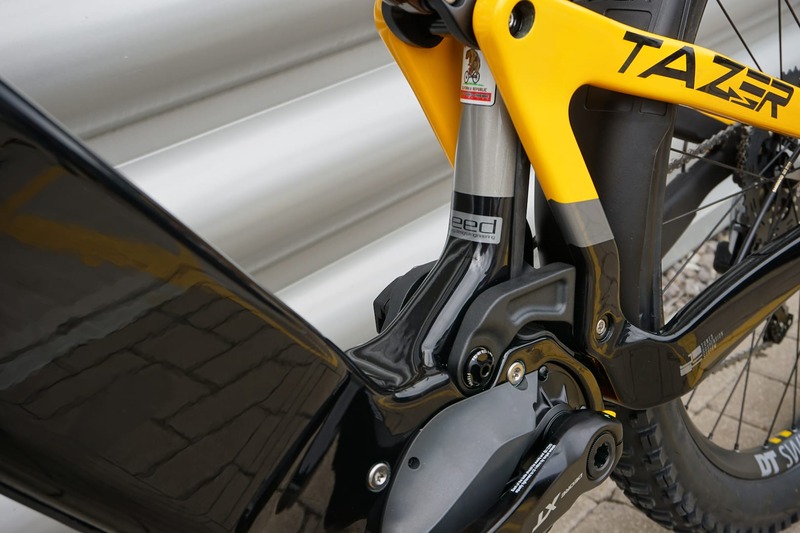 To put that in perspective with the rest of the range, Intense’s current ‘enduro bike’ – the Tracer – has a reach of 460mm on a large frame and a head angle of 65.5°. As with the rest of the Intense range, the Tazer was developed in aluminium by Mr. Steber himself, but the final production frame is full carbon and utilises Intense’s JS Tuned suspension system to deliver that 150mm of rear-end bounce. 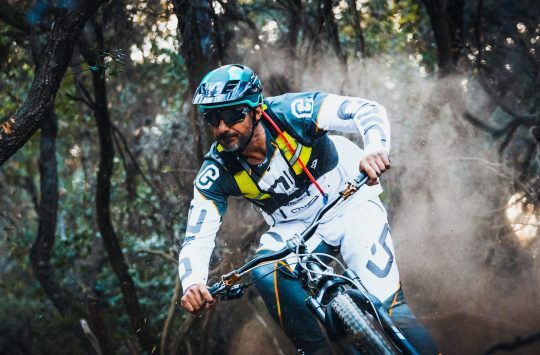 As we saw on the Canyon Spectral:ON, the Tazer is running 27.5+ out back for added climbing traction, with the 29in up front for added cornering traction. To keep things neat and tidy, the Tazer features full internal cable routing for a dropper post, rear brake and gears. 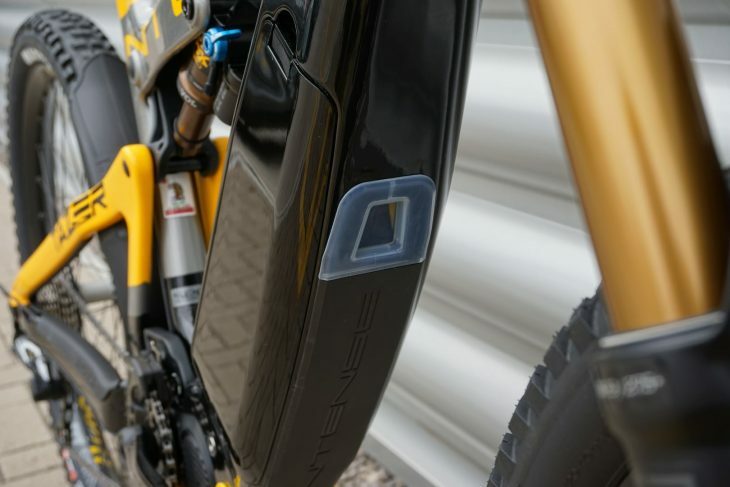 Other cool features include the moulded chainstay and downtube protectors, and the branded rear mudguard. 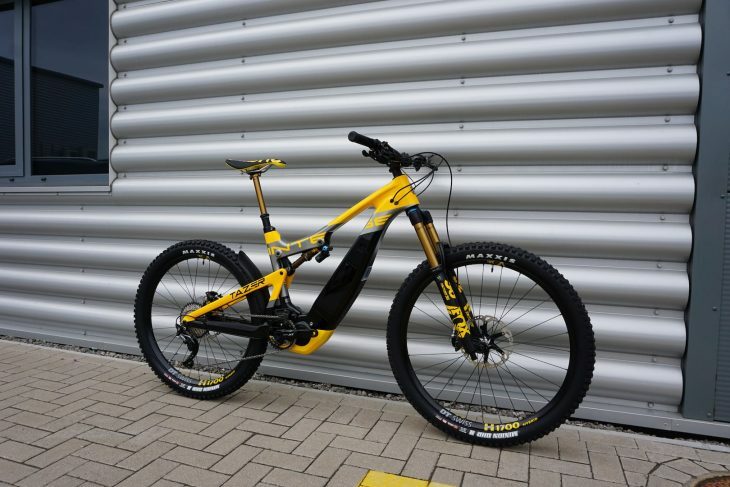 For the motor, Intense have opted for the higher end Shimano Steps E8000 system, complete with Bluetooth compatible display, the battery fits neatly into the side of the main downtube. The battery is also easily removable to allow riders to carry a spare, for going on those epic adventures and backcountry explorations. Front and rear suspension are both taken care of by Fox, with a Fox Factory E-Bike specific 36 FLOAT up front delivering 16omm of Kashima coated squish, while a Fox Factory Float DPX2 Trunnion Mount EVOL shock keeps the rear in check. 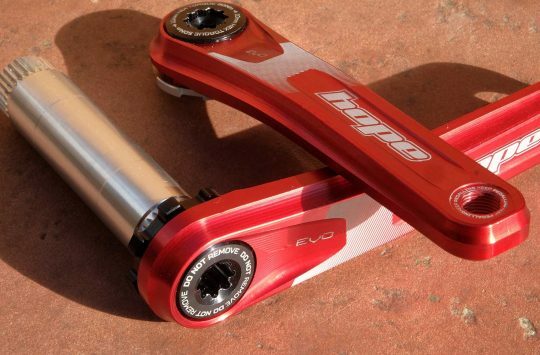 The dropper post is also provided by Fox with a Kashima Transfer dropper post mated to a RaceFace lever. 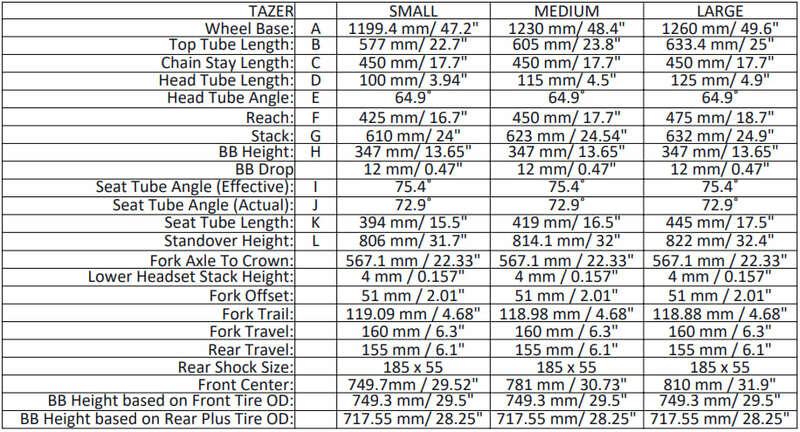 Both medium and large frame sizes get a 150mm drop post, while the size small gets a 125mm drop. 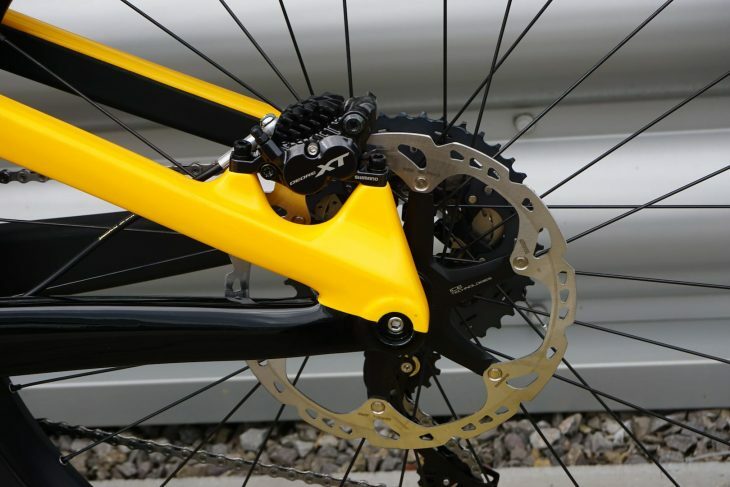 Drivetrain duties are taken care of by Shimano with a mix of groupsets. Shifter and mech are SLX while the cranks are XT, with the chain and cassette being Shimano’s e-bike specific kit added durability. Stopping is also from the Japanese giant with a set of their powerful Shimano XT 4 pot brakes which we reviewed earlier in the year and loved. 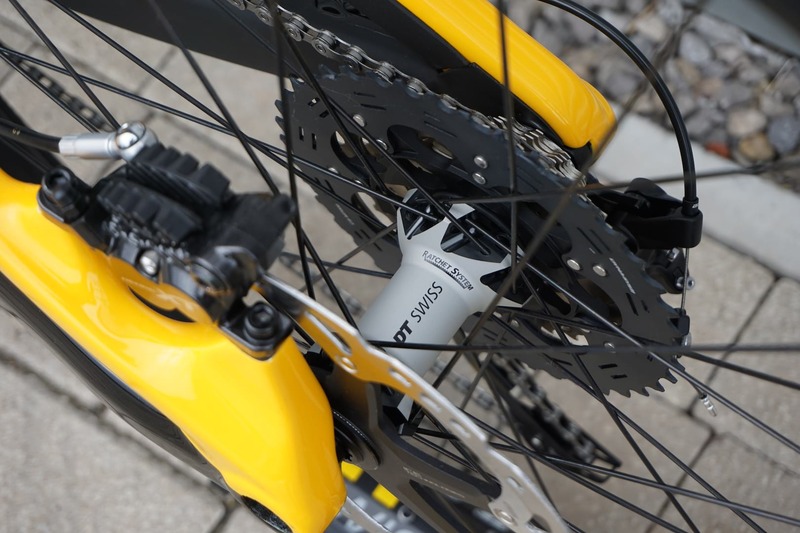 DT Swiss supplies the wheels with both the rims and hubs coming from its Hybrid range and designed for eBike usage. The front rim is a H1700 Hybrid 29″ with a 30mm internal width while the rear is a 27.5 H1700 Hybrid with a 35mm internal width. Both rims are laced to DT Swiss 350 Hybrid hubs and are shod with Maxxis DHRII tyres – a 29 x 2.6 on the front, and a 27.5 x 2.8 on the rear – both in 3c Maxx Terra Exo+ flavour. 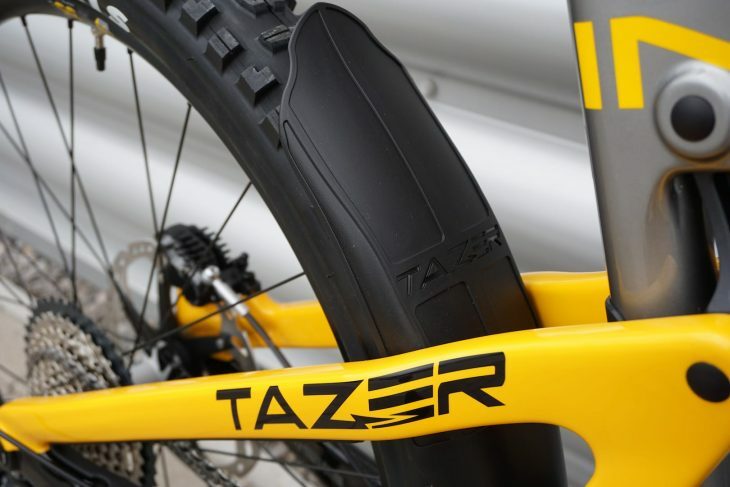 The cockpit on the Tazer is made up of Intense’s own brand components with a 780mm wide Intense Recon Alloy bar mounted in a 45mm Recon stem. 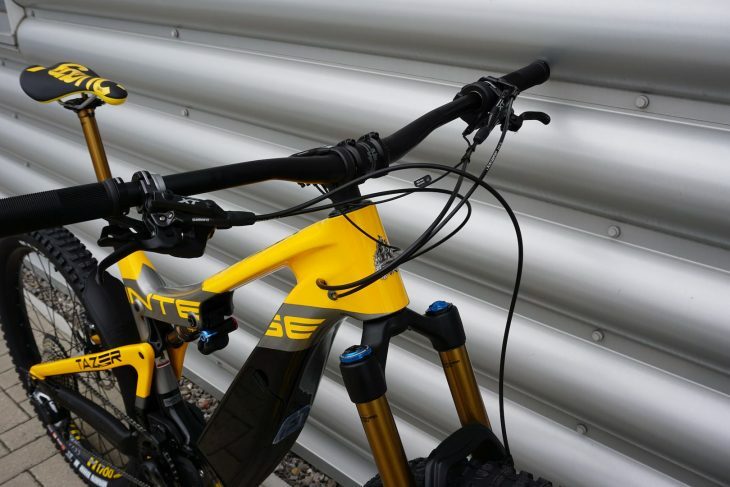 Grips are Intense’s own dual density lock on grips and the headset is provided by Cane Creek. Display // Shimano Steps LCD, Bluetooth Compatible. 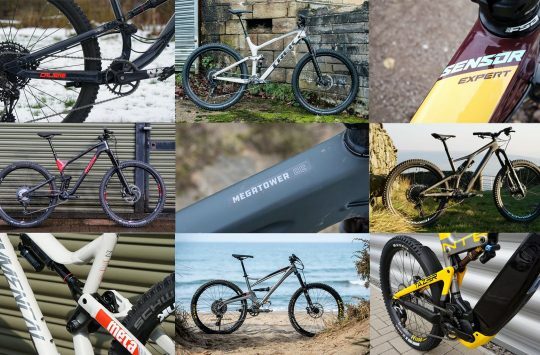 4 Retro Dream Bikes Spotted This Weekend - Which Would You Own? Mind bleach needed for this. What’s with the colour scheme?!? The big, bulbous down tube is accentuated with the gloss back paint…why oh why?